If your air ducts need to be cleaned, you should know that there are many different air duct cleaning techniques that can be used. A qualified duct cleaning professional should be able to tell you about the best method for your situation, and may recommend using a combination of techniques to address all of the relevant issues. Brushing. Technicians may use manual brushes and/or power-operated brushes to loosen debris in the air ducts. 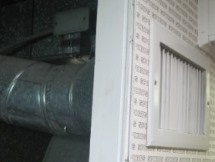 Special techniques are required when cleaning air ducts made of fiber glass duct board or insulated internally with fiber glass duct liner, as aggressive brushing techniques can cause damage. Use of blowguns or similar devices. Devices like blowguns, air skippers and air whips are used to drive debris toward collection devices. They may be portable devices or truck-mounted. Use of negative pressure devices. 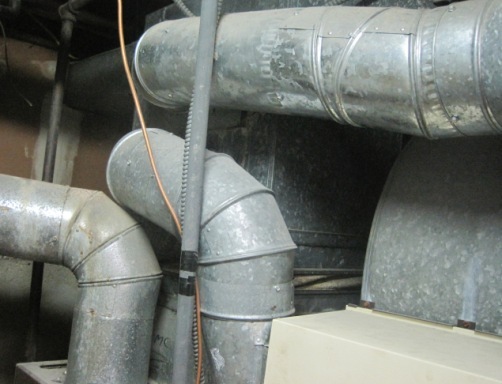 These devices create negative pressure within the air duct system, helping to control the spread of debris and contaminants such as mold in the system. They prevent debris from being dispersed into the home during the cleanup process. Use of hand-held HEPA vacuums. These vacuums are used to remove debris and other contaminants from air ducts. The HEPA filter is necessary, especially when dealing with potentially dangerous substances like black mold, in order to prevent substances from escaping the vacuum device and spreading to other areas of the home. Chemical biocides. Professionals may recommend using a chemical biocide to kill bacteria, mold and other fungi inside your air ducts. The Environmental Protection Agency urges consumers to agree to the use of such products only after learning about all the potential risks and benefits; the chemicals may lead to health problems in some people. Sealants. Professionals may also recommend applying a sealant to your air ducts to prevent any dirt or dust inside from being released into the air inside your home. The Environmental Protection Agency warns that sealants don’t always coat the insides of air ducts completely, thereby not serving their intended purpose, and that they may break down over time, actually creating debris in your air ducts. Discuss all potential advantages and disadvantages with a professional before decided whether or not to agree to the use of sealants in your air ducts. The best air duct cleaning techniques for your home will depend on the type of heating, ventilation and air conditioning system you have, the type of debris or other contaminates in the system and other factors unique to your home. There is no one-size-fits-all technique that is best for every situation. Ask a professional what technique or techniques he or she recommends using for your home, and why. It’s important to find a qualified professional to clean your air ducts, especially if you suspect you have mold or some other hazardous substance growing inside them. Make sure professionals comply with the standards set by the National Air Duct Cleaners Association (NADCA) and that they hold state certification if certification is required in your state. Professionals may also hold NADCA certification, though this is not required by law. Follow this link for a list of qualified Duct Cleaning Professionals in your area. Don’t be tempted to go with a less-than-qualified professional just to save money; it’s just not worth the risk. For more information on air duct cleaning techniques, of course you can contact a qualified professional. You can also email us with any questions. We promise to get back to you as soon as possible with the information you need.